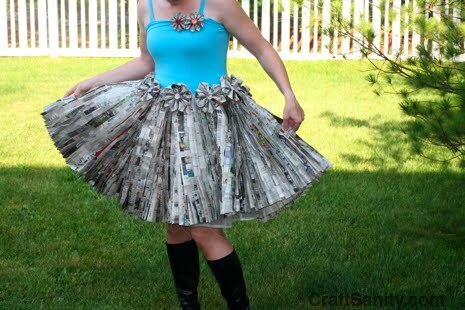 Jennifer Ackerman-Haywood of Craftsanity podcasts and blog fame modeled this newspaper dress recently at the Recycled Runway event hosted by the Urban Institute of Contemporary Arts in Grand Rapids, Michigan. Her fashion statement is literally 'made of stories' as she created it from old issues of The Grand Rapids Press newspaper. Jennifer cut a muslin circle skirt and sewed it to the lower half of a recycled T-shirt. Next she tackled the time-consuming task of sewing multitudes of newsprint strips to the muslin and added a stiff petticoat from a thrift store bridesmaid dress for fullness. Perhaps the bodice and waistline flower trim looks familiar?! 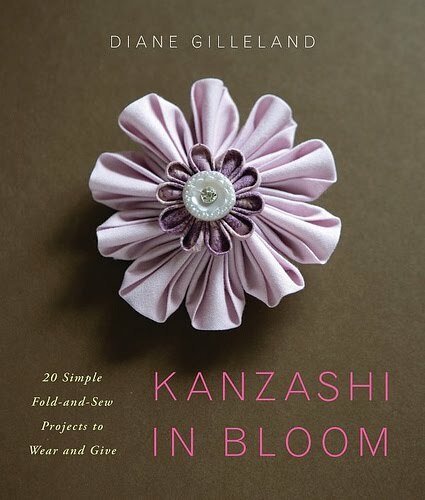 Diane Gilleland's new book, Kanzashi in Bloom, provided Jennifer with inspiration to adorn her dress with flowers made of paper rather than typical fabric. 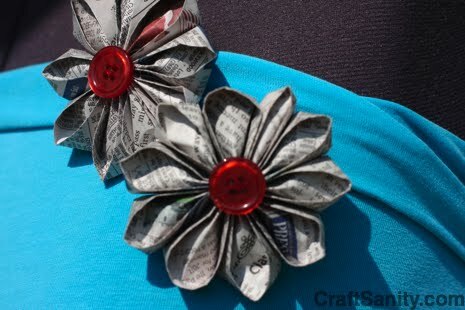 I'd been thinking of trying my hand at paper kanzashi, but Jennifer beat me to it - well done! If you'd like to see more runway designs, as well as behind the scenes interviews with emerging fashion designers who strutted their recycled garments that evening, watch the video here. 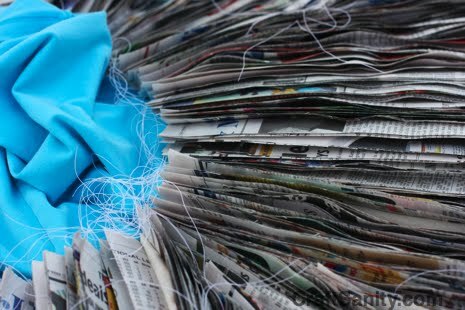 "The future of print media is uncertain, but I know this for sure: Making a dress out of the Internet just wouldn't be the same." 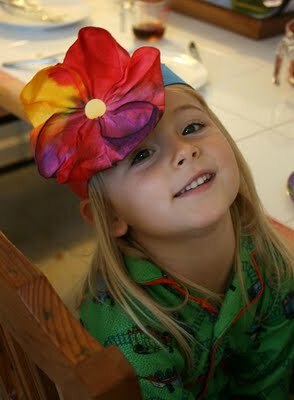 While perusing Twitter this morning I came across a link to Filth Wizardry, a delightful blog filled with cute project ideas for children. 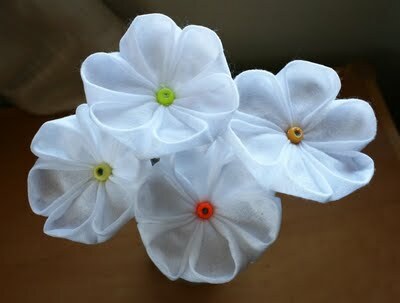 Lo and behold, the latest post is about making paper towel and baby wipe kanzashi - pretty!